Now that you’ve made up your mind to study abroad, you’ll need to decide exactly which English speaking country you want to study in! This all sounds great in theory, but it’s important to get past the stereotypes of the countries to determine which one is really the best for you. Let’s talk a little bit more about how to get a realistic picture of the countries you’re considering studying in. Ultimately, it is up to you to decide which country is the best for you, but you’ll want to start by considering the following. It’s easy to look up what countries have the best colleges in the world, but the more important question is, what countries have the best schools for YOU and your specific area of study? If you are pursuing an engineering degree, what countries have schools that specialize in engineering programs? What is the school's reputation, not only in your country, but in the school’s country? GoAbroad.com and Times Higher Education have useful search tool to compare schools, and rank majors. This will vary more from school to school than country to country, and will be something we will talk a lot more in future posts, but it’s important to have realistic expectations when considering schools. What are the general admission requirements? Do you need a certain TOEFL score, SATs, GREs, IELTS, or something totally different? If you already have a score, or have been studying for a specific test, then most likely you should consider countries that accept that test first. Aside from a good educational experience, what kind of culture do you want to experience? Think about what country fits your personality, your interests, hobbies, and even your weather preferences. Are you looking for a school that is in a city completely different from yours, or would you like to find a place that has some familiar comforts for when you’re feeling homesick? Each country is so different that it could take you years to research these questions but this guide about different countries cultures is a good start! Take a look at it and tell us if you agree with what it says about your country! I’ve had some students who have traveled more than 24 hours from Asia to get to their new school, while others just take a 3-hour flight down from Canada! Does the thought of traveling all that way to your new school excite you? Or would you prefer someplace that’s closer? Do you plan to travel home for for the holidays? Do your parents hope to come visit? How much are plane tickets? Here’s a fun website that quickly shows you the flight times from one country to another! Budgeting is kind of awful, but necessary! For most of us, price will play a big factor in this important decision. You’ll definitely want to check on the tuition prices and living expenses in the specific country. What is the exchange rate? Does this specific country offer scholarships or financial aid for international students? GoAbroad.com and Business Insider are just some of many helpful resources for researching the costs of studying abroad, but we’ll also discuss this more here! It’s important to read about the visa requirements for citizens from you country. How hard is it to get a visa to this country? Will you need to travel to renew it periodically? Can you work legally there? NAFSA offers some great resources to start researching this, but look for future blog posts here for many more visa and immigration tips for studying in the US! 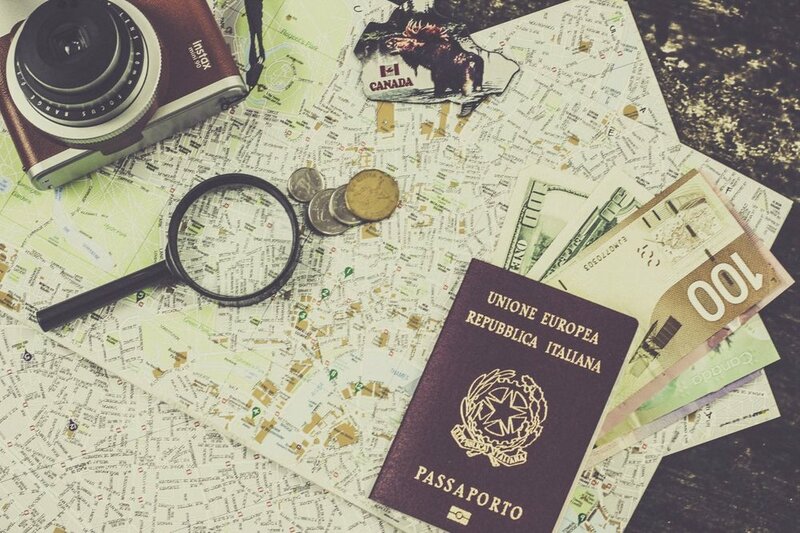 Studying abroad is more popular than ever! That’s great, but what does this mean for you? Well, it means you can choose to study in a place with many people from your country, or you can do your research and study in a place where not many people from you country go. For example, if there are 10,000 Spaniards studying in Boston, but only 500 studying in Melbourne, do you want to be 1 of 10,000 or 1 of 500? Do you want to be able to take a break, and speak your native language with people who understand your culture sometimes? Or do you want total immersion in English? For some of us, knowing that we can immediately make friends with other students from our own country while abroad may be a comfort. For others, this may actually be a turnoff because they want to experience as many new things as possible. No pain, no gain, right!? Some students find that if they are surrounded by people speaking their own language, they won’t be motivated or pushed to learn English as quickly. Take a look at the population of international students in various countries, and consider if you want to be studying with many students from the same or different country as you. This one is a very personal choice, and there’s no wrong answer! We know that this is a lot to consider, and it can be overwhelming at first. But just take it one step at a time! Here’s some homework for you: see if you can narrow down and prioritize the top 3 factors on this list and use the resources provided to get started on your decision process! Here are some great resources for studying in various English speaking countries! Hi! My name is Sarah and I have 8 years of experience working with international students studying in the United States, most recently at Berklee College of Music in Boston. I share your passion for adventure, and am currently traveling through Asia as part of the Ginseng English Anywhere tour! I’ll be writing many blog posts about studying abroad, so if you’ve decided to study abroad in the US, then this is the place is for you!